British Finance Minister: Warns President Trump: A Full Scale Trade War Will Be Disastrous Especially for the United States! British finance minister Philip Hammond warned in London on Thursday that the President’s world-wide trade war would be a disaster, especially for the United States if it continued to escalate. “I very much hope that we can avoid a full scale trade war (because) that would be a disaster for everyone, not least for the United States,” Hammond said in an interview with CNBC. Hammond is one of the key voices pushing for a relatively ‘soft Brexit’, under which Britain’s existing trade links with Europe are largely maintained. 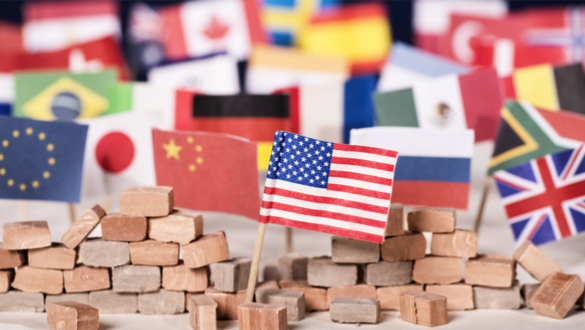 In recent days American companies have begun to make it known that they will no longer suffer in silence if the escalating tariffs affect them. Bloomberg Opinion’s Brooke Sutherland predicted on Thursday that Harley Davidson’s shift could be just the start of a migration of companies out of the United States. The Trump administration appears to be feckless at this point with administration officials openly contradicting one another in interviews with the financial press. President Xi Jinping of China seems to be of the same mind of his counter parts in Japan, EU, Mexico and Canada. Xi has reportedly is telling U.S. C.E.O.s that he and his government are ready for a brutal fight. President Trump’s strategy seems to be one of intimidation and brinkmanship. He may well find out that like Justin Trudeau of Canada, the rest of the world may not be willing to be pushed around as Trump tries to impose his America First policy.